​1211 Coonpath Rd. NW, Lancaster, OH. 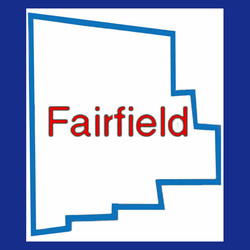 The Fairfield County Chapter of Retired Teachers has been an active organization since its inception on March 15, 1965. At this time a group of forty retired teachers met to elect officers and select committee members. The group held four meetings that year and the tradition of four meetings each year has continued.The group has always been very active working for beneficial legislation for retired teachers. The legislative committee has been a very important committee in the Fairfield County Chapter RTA.In 1978 the Fairfield County Chapter RTA was presented a school bell from the Ohio Retired Teachers Association for having a 10% increase in membership. Throughout the years membership has steadily increased. An important feature that has helped to keep those members who cannot attend meetings up-to-date with important issues is the Fairfied County Chapter newsletter, Bellringer, which was started in 1993. The newsletter has been instrumental in keeping older members and attracting new members interested in the issues of retired teachers. In December 1995, the group established a scholarship to be given to a college student in his/her junior or senior year. Fairfield County Chapter RTA has always stressed the importance of ORTA and has been active in supporting any legislation affecting retired teachers.